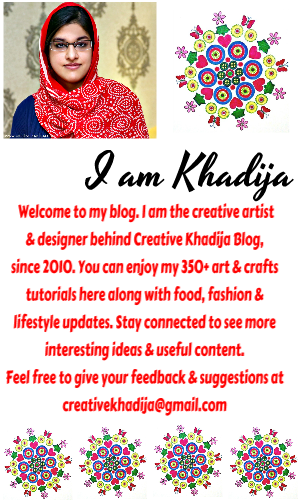 If you remember, few months back once I share my first ever video tutorial on my YouTube & blog. 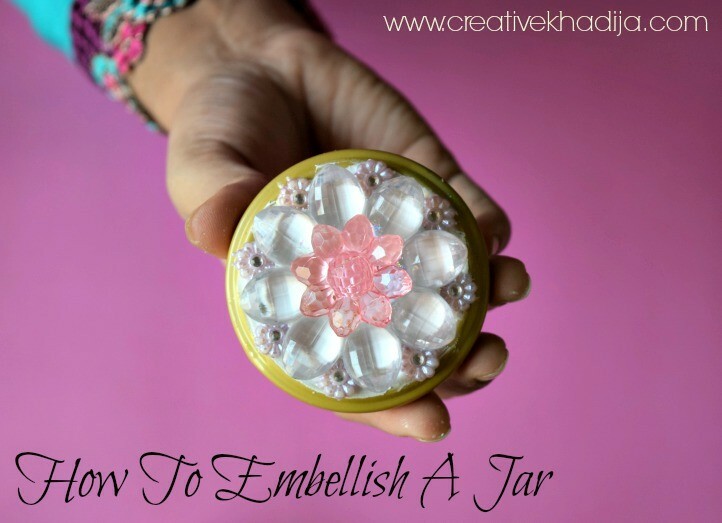 It was a glass jar which I’ve decorated with Mod Podge collage clay & some beads embellishment. You can check the video Here again. Today again I am sharing a similar glass decoration. I hope you will like this one too. To be honest, I made it during those days when I was making the video tutorial. It was the test try version of my craft which I filmed later but that did not turned out so well. 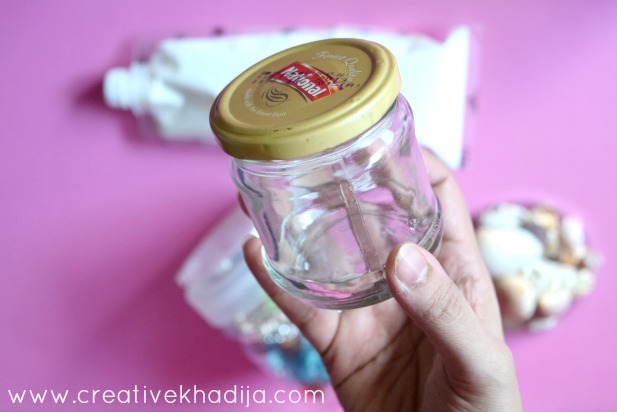 So I skip it’s video & made the other jar embellishment video tutorial. 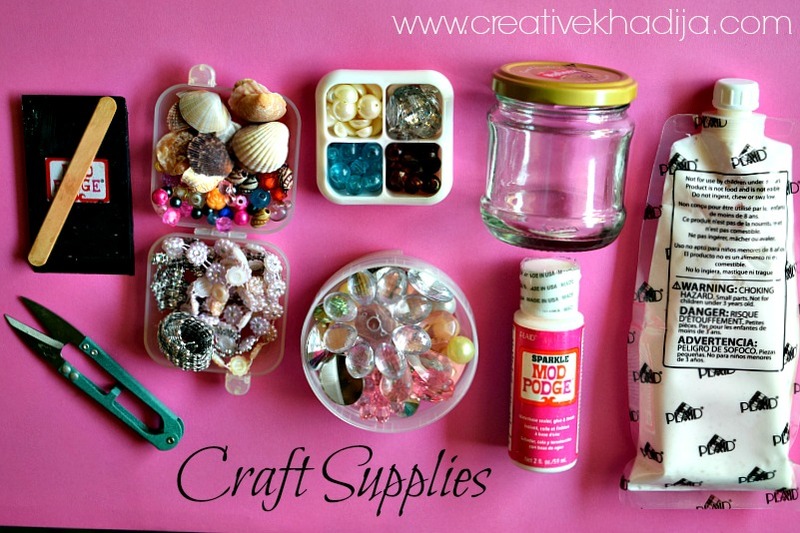 Let’s have a look what craft supplies I have used for decorating this mini jar. First of all you will need to wash & dry the jar. Then cover the jar with a thick layer of collage clay with the help of any spatula or stick. 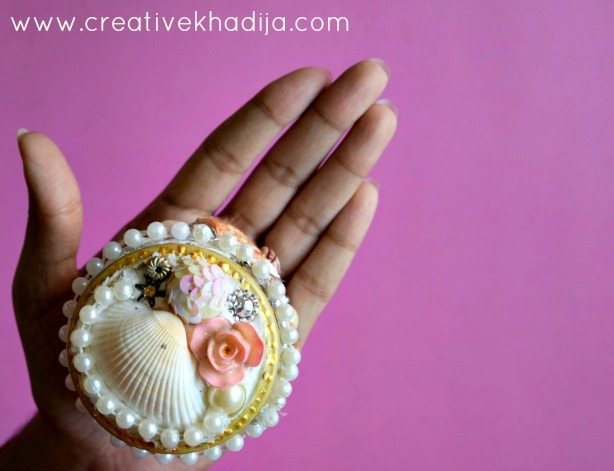 Remove the jar lid, So it will be easier to work while applying clay & embellishments. 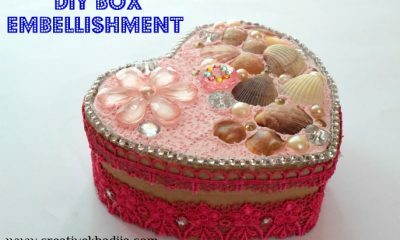 I have embellished it with shells, beads, pearls, resin flowers & rhinestones. Let it dry for few hours until it gets dry well. I made it & forgot about holding it for 24 hours. It was perfectly dry & done then. 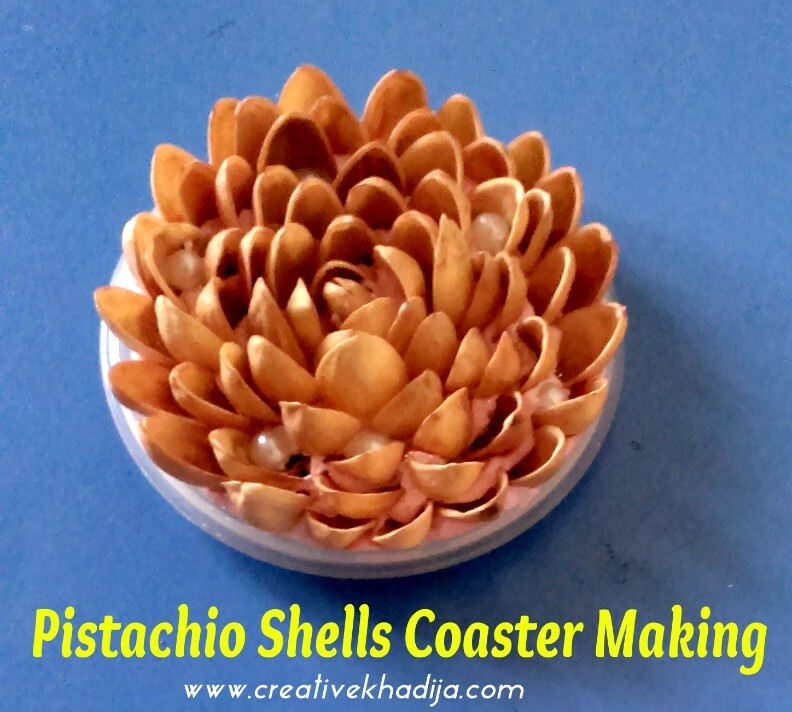 It’s an easy yet simple craft idea. 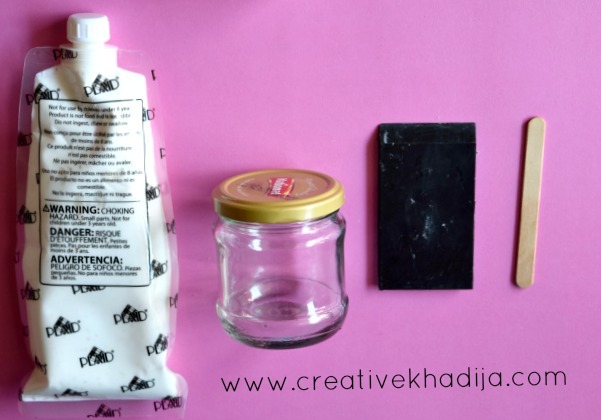 You can try it to reuse your old jars. 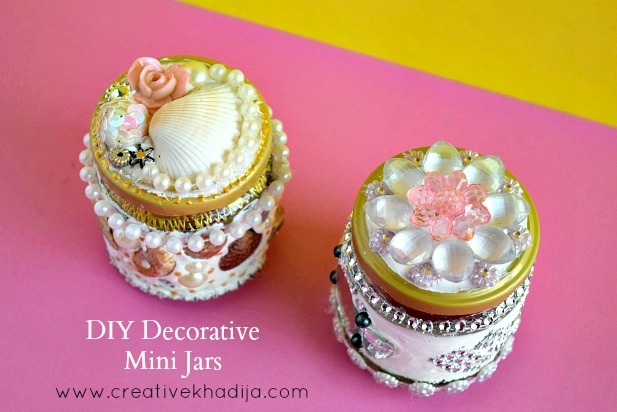 Let’s design your random foor jars & make them pretty gift jars. And both jars are here together. Which one you liked most? Here you can see both jars. 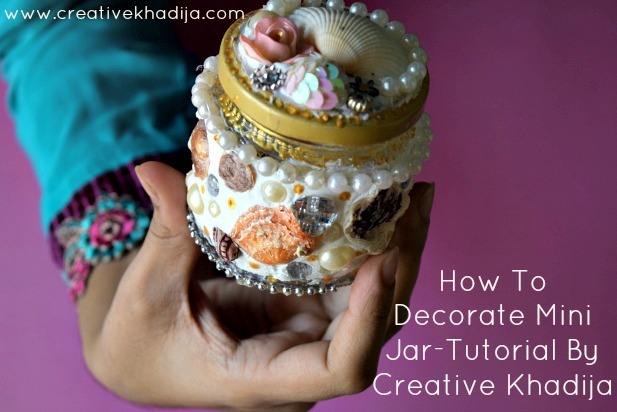 You can enjoy the step by step making video of this decorated jar on my YouTube & in this blog post too. If you want to know about any step. Or if there is any confusion about anything related this craft. Be sure to drop me a comment. I would love to respond. 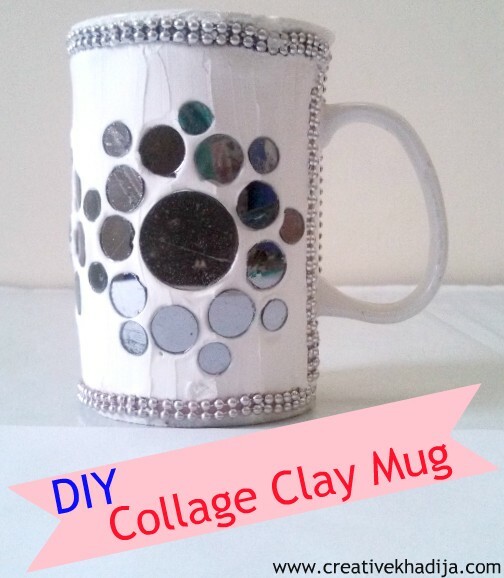 You can also check some of my other tutorials about Mod Podge collage clay crafts ideas. 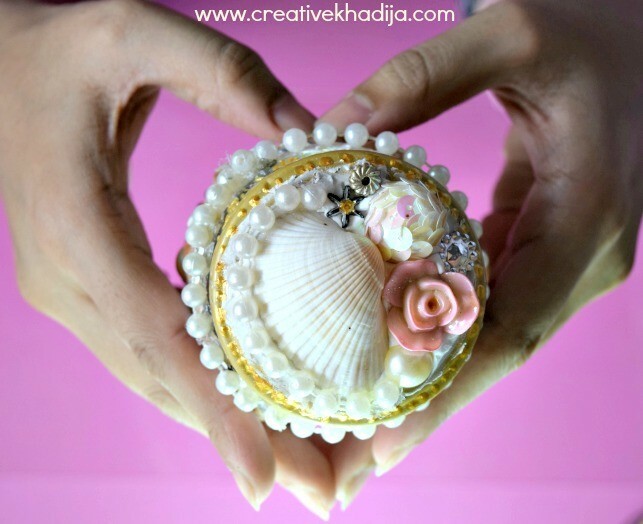 If you have tried something similar to my ideas, Don’t hesitate to show me your version of crafts. I would like to see & feature you! The jar is so cute!! 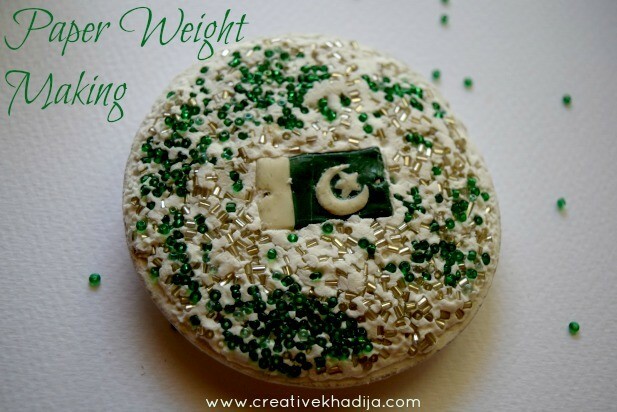 I love the way you walked us through decorating them. Simple yet adorable!! Thanks Char :) It’s an easy way to decorate any ordinary jar. I love these jars! You make it so easy. I can’t wait to try with my daughters. Wow! I love your jars. You are so creative.